A Godsend for Parents Who Have Been Alienated from their Children after a Bitter Divorce, author and advocate Jill Egizii, describes the pain and frustration of parents and children who are torn asunder as the direct result of divorce warfare. Disheartened parents will feel heard and understood after reading this heartfelt book. Jill Egizii explodes the theory that parental alienation is a malady attributed to women only. 'The Look of Love' skyrockets the reader into a world of how a devoted mother can be ostracized by a court system. 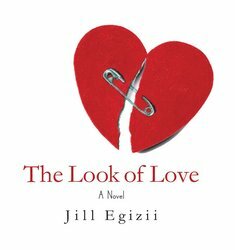 The new book ‘The Look of Love’ (Brown Books Publishing) by Jill Egizii, president of the Parental Alienation Awareness Organization (PAAO), offers readers a poignant view of parental alienation at its worst, describing the pain and frustration of parents and children who are torn asunder after a bitter divorce. Egizii, an alienated parent of four children, shares her personal journey in order to bring continued awareness to the very real issue of parental alienation. Divorce can be brutal, especially when children are involved, and even more so for an ex-spouse who becomes an alienated or estranged parent as the direct result of divorce warfare. An appointee to the Illinois Family Law Study Committee, whose mission is to revamp state divorce law, Egizii has become an outspoken advocate for legislative change and judicial reform in this arena. Appearing on The View with Alec Baldwin and more recently on Dr. Phil, Egizii speaks out on behalf of alienated parents who go virtually unnoticed in the world of family law. Egizii says, "The stigma that is attached to being a mother much less a father without their children is often too difficult to endure." As the host of BlogTalkRadio show Family Matters heard on syndicatednews.net Wednesday nights, Egizii provides a platform for families dealing with parental alienation. To learn more visit: http://www.syndicatednews.net and http://www.thelookoflovebook.com. The Look of Love is available online and bookstores everywhere.